The SF-Series faucets capture the contemporary styling demanded in today's modern restrooms, but maintain the design integrity to coordinate with any style at an affordable price. 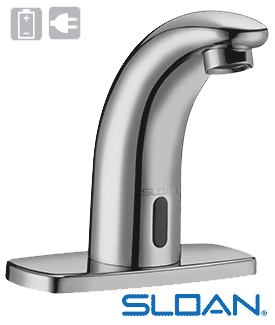 The SF-Series faucets are quick to install, have proven reliability and are easy to maintain and operate. 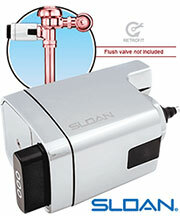 The Sloan SF-2400 Electronic Pedestal Hand Washing Faucets operate by means of an infrared sensor. When the user enters the sensors effective range, the Solenoid activates the water flow. Tempered water flows from the Faucet until the user steps away. The Faucet then automatically shuts off. 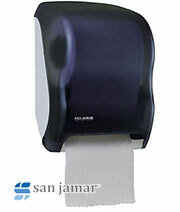 The ultimate in sanitary protection - there are no handles to turn or buttons to push. Helps to control the spread of infectious diseases. 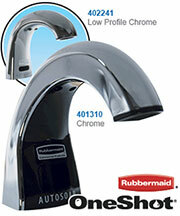 Automatic operation provides water usage savings over other faucet devices. Reduces maintenance and operation costs.